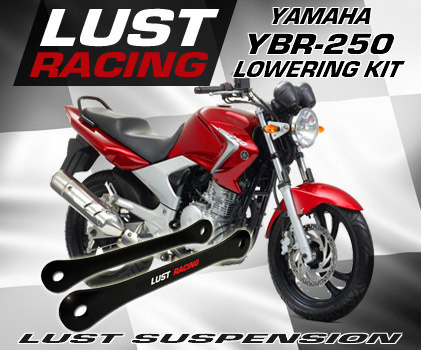 Yamaha YBR250 lowering kits made by Lust Racing. Lowers the seat height of your Yamaha YBR-250 the specified amount. Two lowering options available.